World Town Planning Day was initiated in 1949 by the late Professor Carlos Maria della Paolera of the University of Buenos Aires to advance public and professional interest in planning, both locally and abroad. It is a special day to give special recognition to the ideals of community planning which bring professional planners and the general public together. 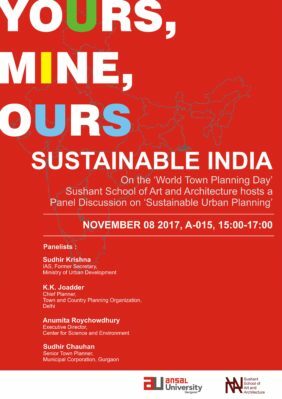 World Town Planning Day presents an opportunity to look at planning from a global perspective, an event which appeals to the conscience of citizens and public authorities in order to draw attention to the environmental impact resulting from the development of cities and territories. ISOCARP has always promoted the celebration of World Town Planning Day. ISOCARP Members often take an active role in the organisation of an event in their country. World urbanism day will be celebrated by the French Federation of Urban Planning Agencies (FNAU), where two members of ISOCARP-France (E. Huybrechts and P. Lecroart) will be present during the Annual Congress of FNAU on “Building Europe of sites and links” (8-10 November). There will be added an Urban Thinker Campus of the World urban Campaign on Planning European cities and a meeting of the newly created Metropolitan and territorial Planning Agencies global network (MTPA). The Greek National Delegation celebrates World Town Planning Day with a lecture on “The role of International and National Associations in the promotion of spatial planning”. Elias Beriatos and Marilena Papageorgiou have organized this special lecture to the undergraduate students of the Dept. of Planning and Regional Development – University of Thessaly (Volos, Greece). It will be given on 8th of November (18:00 – 19:00). The commemoration ceremony of Town Planning Day in Iran will be held on Tuesday, November 6th. Urban specialists from all over Iran are present in this program. 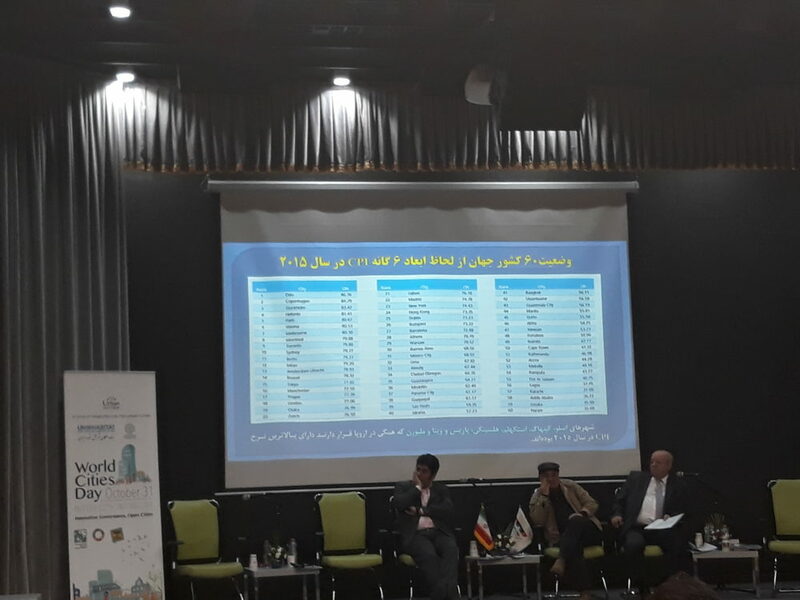 The speakers of this program are the members of the secretariat of the World Town Planning Day in Iran, the head of the Architectural and Urban Planning Commission of the Islamic City Council of Tehran, the Iranian expert specialist in urban planning 2017 and student representatives. 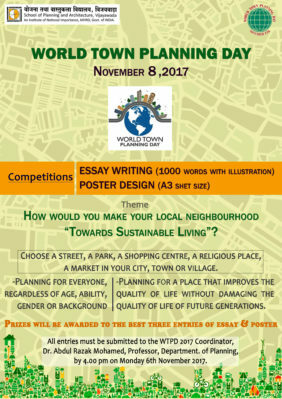 The winner of the urban space photography competition is also being conducted in the student department of the national secretariat of World Town Planning Day. Also, with the focus of this year’s slogan in Iran, urban planning, public health, improving the quality of life, a statement will be prepared and improved. 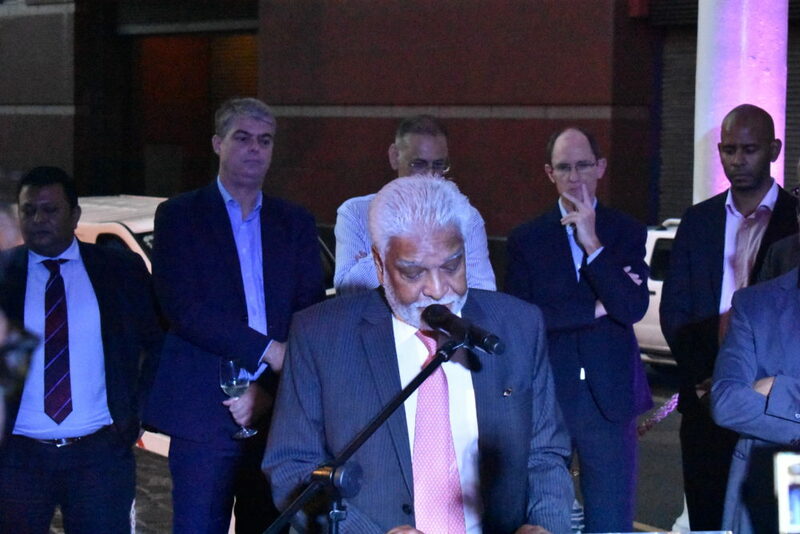 On the 31st of October, on the occasion of the World Cities Day, the Port Louis Development Initiative (PLDI) recognised cities as the underlying foundation for catalysing societal and economic regeneration. 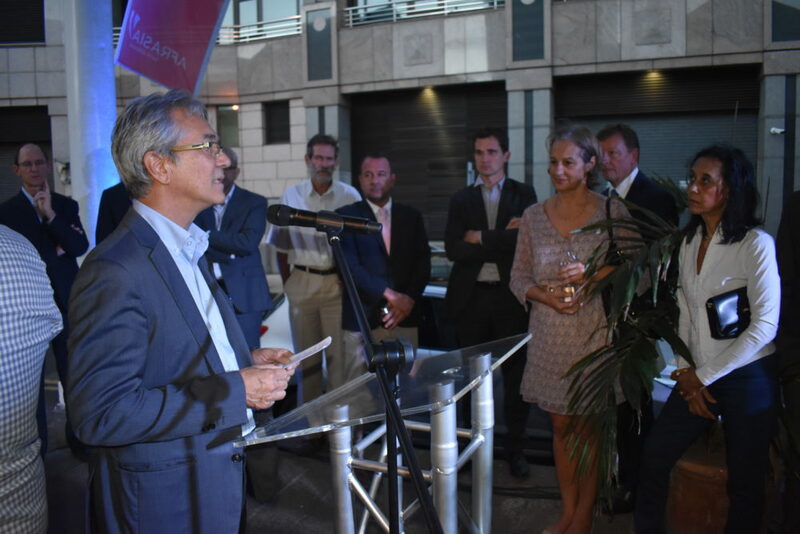 On this day, the PLDI celebrated the opening of its offices in a heritage building in the Port Louis, the capital city of Mauritius. 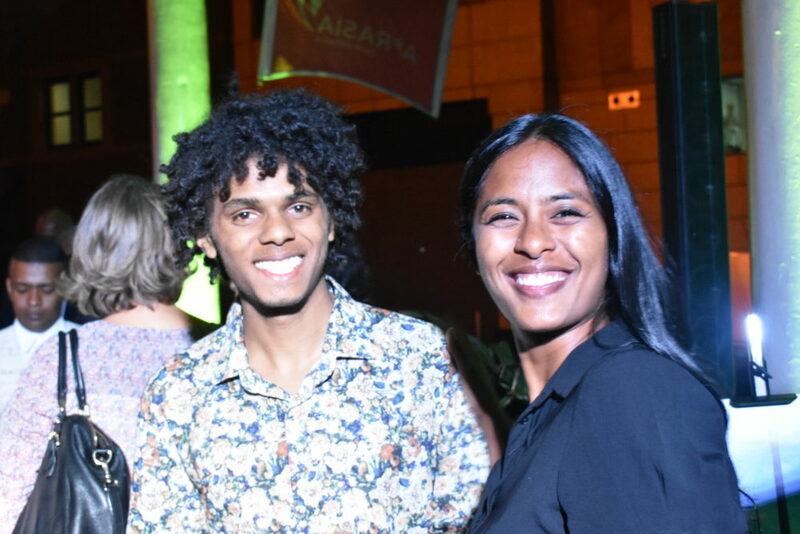 As a not for profit organisation, the PLDI re-affirmed its commitment to work towards strategies that connect stakeholders across the city, and to work towards regenerative principles aimed to increase the urban quality of life of users of the city. On this day, the PLDI launched numerous projects through cultural, digital and urban interventions on a city-wide scale that has for collective aim to encourage a sustainable and culturally active fabric. Among the featured projects were the: Chake Mobile application that is a cultural calendar of events in the city, a suspended green platform across a drain section in the city, and an interactive platform to encourage the planting of 10,000 trees in the city. Through this event, the PLDI recognised its partners through the Local Government and through the private sectors on the local and international stage and called for an increased collaboration between stakeholders in the city. unstudio_architecture took the opportunity to celebrate Urbanism Day and put together an exhibition about Designing Healthy cities. 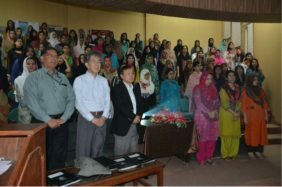 About 60 people attended. 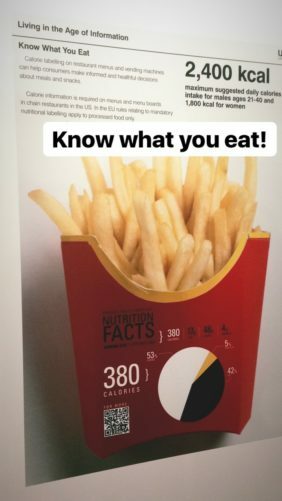 ISOCARP Member Caroline Bos held a speech about the importance of considering health – social, physical and mental, when we design cities and places (and a catering of freshly squeezed juices). World Urbanism Day is being celebrated with a national 3-day colloquium every year in Turkey. 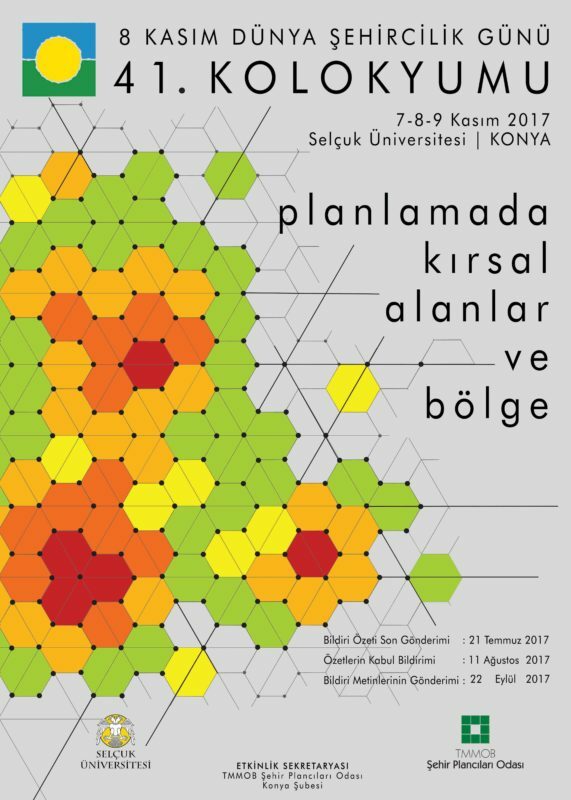 The 41st Colloquium will be hosted by Konya Selçuk University Department of Urban and Regional Planning and Chamber of Urban Planners Konya Branch under the theme of “Rural Areas and Region in Planning”. In this context there will be also 4-day student workshop under the theme of “The Future of Rural Areas” before the Colloquium. For more information, please visit http://www.spo.org.tr/genel/bizden_detay.php?kod=8259&tipi=1&sube=0 and http://www.spo.org.tr/genel/bizden_detay.php?kod=8502&tipi=2&sube=0 (in Turkish). The definition of rural areas, which have been subject of changing policies and paradigms in recent years, differs from the baseline criteria in different periods. The simplest definition of rural areas expressing as non-urban areas is an open swath of land that has few homes or other buildings, and not very many people with demographic, economic and sociological aspects. In other words, it can be said that some central features of rural areas are to have less density of population than urban and limited links economic hubs, based on agriculture sector than commerce and services sector and a similar variety of income distribution, limited the effect of technological development on life style and production methods, limited the process of social and cultural changing, dominated traditions and customs on social life and rules, and accepted face-to-face relations on interaction channels. 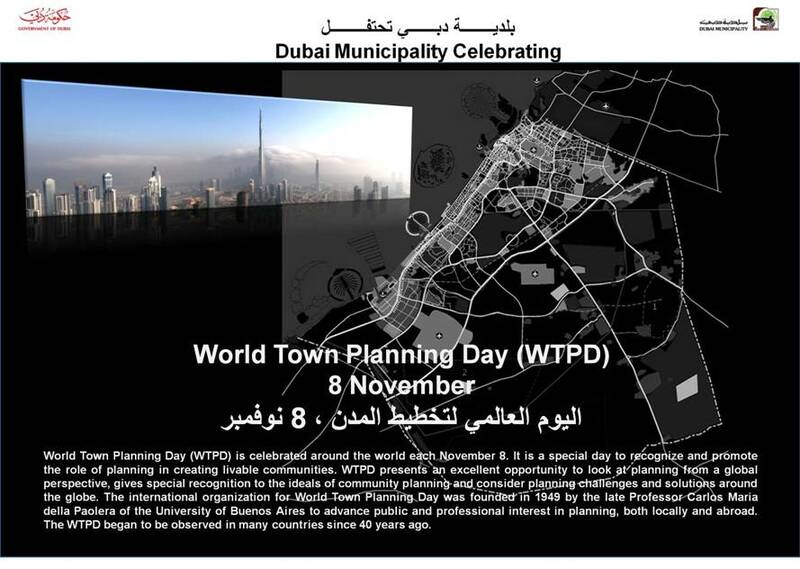 Dubai Municipality celebrates WTPD for the 1st time. Happy World Town Planning Day to everybody!